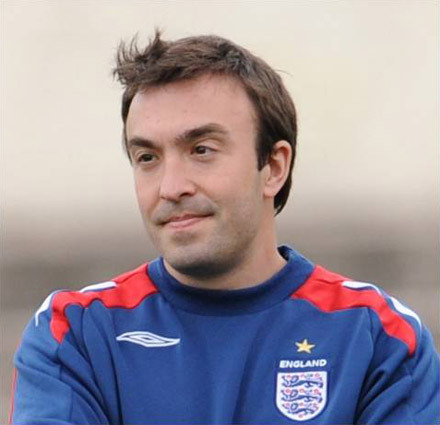 Dan Abrahams is a top football psychologist who has worked with a number of professional clubs and players, so when we got the chance to interview him we jumped at the chance to see what advice he can offer 5-a-side players. Want to know if you could benefit from sports psychology, how to stop your team’s negative thinking, how to start games well, or how you should be approaching tournaments? Dan has the answers in the interview below! Dan, you’re well known on the circuit now, (you’ve got over 13,000 twitter followers –wow!) and written two excellent books, but for those who aren’t familiar can you give them a flavour of what you do and who you have worked with in football? So I see you’ve worked with clubs like Charlton and players like Carlton Cole, but what about those of us who aren’t professionals in the game, like your average 5-a-side player. I wouldn’t say that I have any psychological problems -would I benefit from sports psychology? Sport psychology is not necessarily just for players with ‘problems.’ I get asked a lot in the media about depression in sport and other clinical issues but I’d say my work in that line is about 3% of my weekly activity. Primarily sport psychology is about helping players be the very best they can be – whether it’s helping them structure their thinking on and off the pitch, teaching them how to perform under pressure, how to play more consistently or how to focus, build confidence and self-belief. My passion is to de-mystify sport psychology for everyday footballers (supporters and grassroots players) and I hope my books have done just that. Sport psychology is VERY relevant for 5 a-side players. I have played in teams where, if things don’t go well, the team can become very negative and critical, almost to the point where it seems that one big mistake can kill a game for us and there’s no way back –have you any pointers on how we can get out of this mindset? I’ll answer this by using a real life example. Chris Powell, the Charlton manager, invited me into to deliver a workshop to his player at the end of March last season. They had 8 games to go and had a few points to pick up to avoid sliding into a relegation battle. The team and I got our heads together and wrote down 2 or 3 team goals for each game. They were related to match intensity and helping each other out as team mates. They committed 100% to these goals – we all agreed that as a team they could be controlled and they could be executed no matter what. This gets to the heart of your challenge. It’s important that teams have 2 or 3 identifiable, tangible and controllable goals that each team member can commit to. It is this commitment that is vital – go a goal down, stick to your goals. If the momentum is against you, stick to your team goals. In this case your team members have to understand and appreciate the nature of communication on the pitch under pressure. Of course there is a time to shout at your team mates to ‘liven up’ – but remember, no-one goes out to play poorly on purpose. Being overly critical or shouting at a team mate will merely compound the error he or she has just made. Shouting at a mate will cause him or her to release a stress hormone called cortisol which will suppress their performance. It will slow their anticipation and lessen their awareness. How about helping your team mates out. So back to Charlton and my point about goal setting. Your team should have a goal along the lines of “relentlessly positive” or “constant confident communication” – something simple, that rolls off the tongue and that everyone can adhere too. It worked at Charlton – they went the remainder of the season undefeated. Dan’s work helped Charlton Athletic go on an 8 game unbeaten streak in the 12/13 season. Some days I, or my teammates start matches in a sloppy way –it seems like there are far more stray passes than usual, people don’t pick up their players when we’re defending, and just generally don’t seem switched on. It can be very frustrating as we know we can do better. How can we make sure we ‘click’ right from the first whistle? I constantly tell my players “The match starts 2 hours before your game”. If that’s a little excessive for grassroots level then look at it this way – start your match when you warm up. Make your physical warm up a mental warm up as well. Commit to getting on your toes, checking your shoulders and deliberately be alert and alive. Commit to incredible body language. In this way YOU set the tone of YOUR game. These mini behaviours get your performance hormones flowing – adrenaline, dopamine and testosterone. Occasionally I see players playing ‘tight’. Players who seem to freeze against better or more physical opposition, they don’t seem to be able to relax on the ball and show their true ability. Is there anything that can help these players relax and perform better? There are so many things – but ultimately it’s vital that players PRACTICE and EXPERIENCE playing with freedom in training. A coach should always be emphasizing the notion of playing with freedom. This is something I talk a lot about in my new book Soccer Brain – I dedicate a whole chapter to the idea of ‘insisting on mindset’. Coaches should demand to see great mindset in training – after all, we ask players to play with confidence, yet how often do we help them experience the feeling of confidence? I think coaches should be doing this in training every time. If you’re reading this and you’re a player then you can take charge of this idea. In every training session you should be striving to play with freedom, with confidence and with focus. Take notice of what these feel like. Take notice of what you are doing when you play with freedom. “Sometimes we all have off-days” –that’s a phrase that I hear used to console a person who has under performed Do you think it’s possible for a player to cut out off-days in the sporting arena and play to his /her potential all the time? Finally, there are a few very serious 5-a-side teams out there who are playing competitively in tournaments, sometimes for quite a lot of cash. Have you got any tips on how teams can stay mentally switched on and motivated throughout the whole event when there are so many different variables (different quality of opposition, time between games, number of games etc)? It’s vital to know where your main areas of challenges are going to be prior to the tournament day. It’s not negative to spend a little time thinking about where you might struggle. That gives you the opportunity to think about how you will deal with those challenges – to strategise. On the day itself there is nothing more important than having your own personal goals. Just I spoke earlier about having mini team goals so it is important to have 2 or 3 things you are trying to achieve in each game. Again they must be tangible and controllable and related to YOUR game. So for example “Find space – constant movement” may be one. “Head up at all times” may be another. Just have some personal guidelines that help you focus your mind – this is something I call the Match Script in my book Soccer Tough. If you want to follow Dan on Twitter, where he regularly posts practical tips for players and coaches, add him @DanAbrahams77. He also has a website www.danabrahams.com. Soccer Tough is aimed at players of the game, and had received rave reviews on Amazon from those who have implemented its advice. Soccer Brain is Dan’s newest book, aimed at developing great players and teams. We’ve read a copy here at 5-a-side.com and thought it was excellent – it’s also starting to pick up some excellent reviews on Amazon!